1. 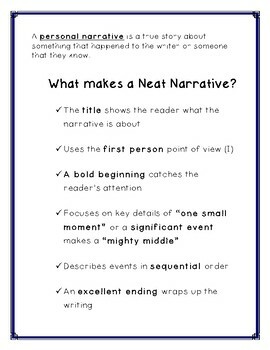 A handout to teach/introduce personal narratives. 2. 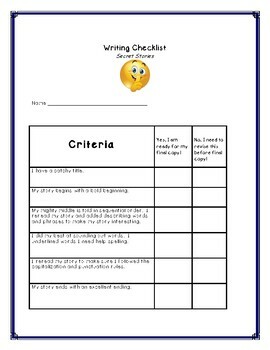 Mentor Text Suggestion: I like to use "The Wednesday Surprise" by Eve Bunting as a model text for organization - bold beginning, mighty middle, and excellent ending. 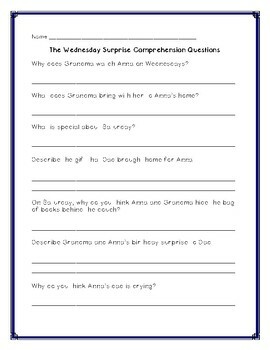 There are also some comprehension questions if you want to read the story a second time. 3. 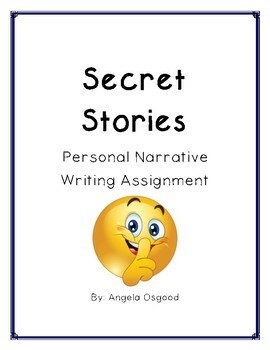 Pre-writing Sheets to help students brainstorm secrets and organize the selected secret to share. Clip Art is public domain.